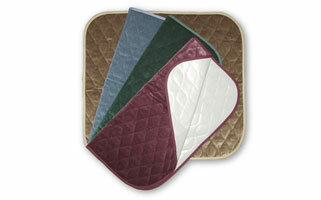 These washable and reuseable incontinence chair pads are designed to protect the user and protect the chair. They also help to preserve users dignity as they look and feel like a normal seat cover. Available in various colours. Holds upto 1 litre in liquid.